That landed me with (ca.) 3167 e-mails (which I managed to redirect to my spam folder). It started with somebody sending an e-mail from (supposedly) '[email protected]' to '[email protected]', saying 'bello!'. Then, when people started replying to all and realising that anything can get through, the situation spiralled out of control. 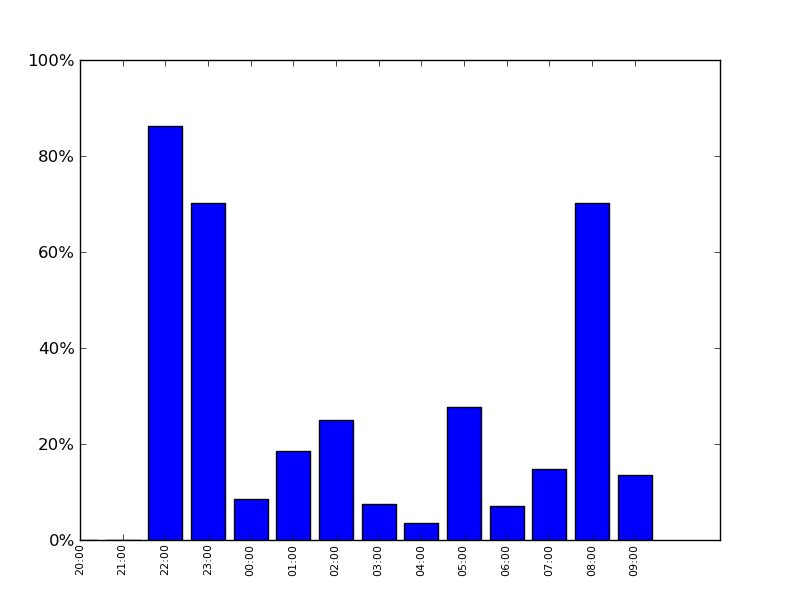 Now, I've downloaded the e-mails in Python (this blog post was helpful), and started crunching some numbers. 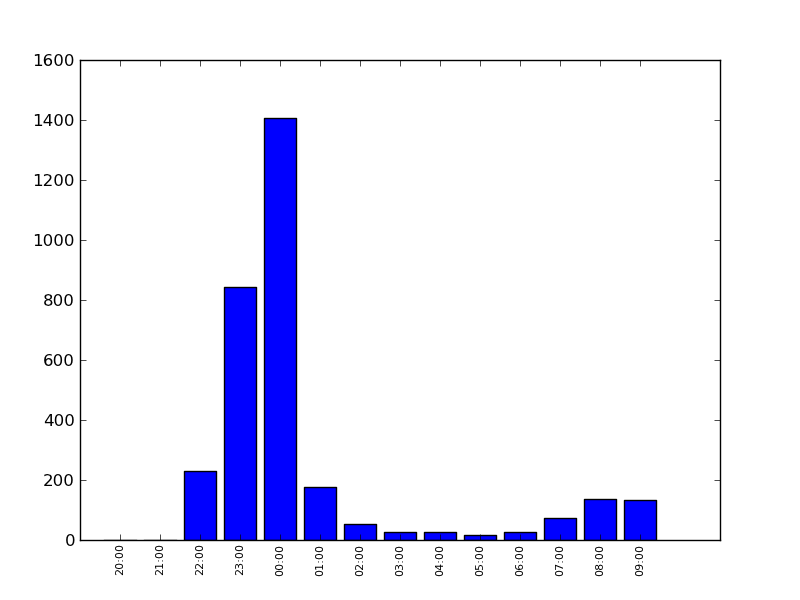 Proportion of addresses '@ucl.ac.uk' which sent the e-mail, by the time sent. 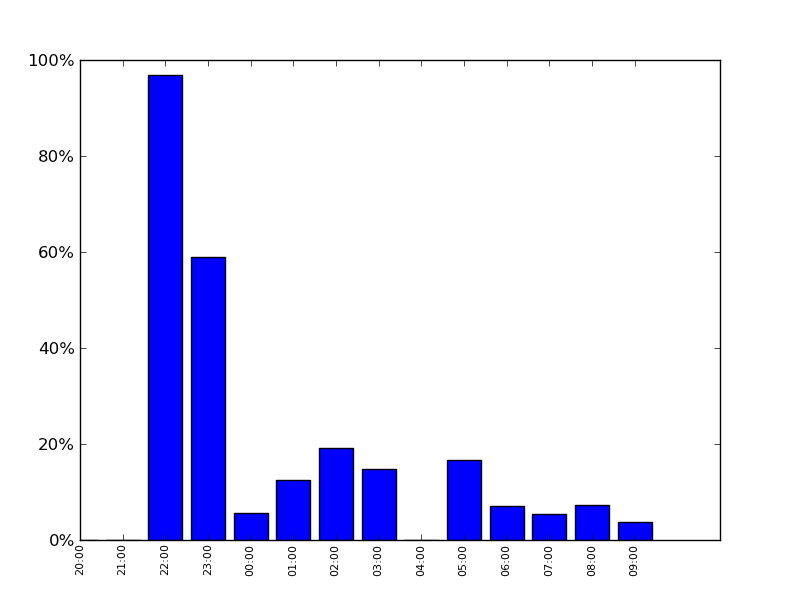 Now I'm trying to connect the data in a graph... Who knows, maybe I'll end up doing some Enron-style discovery?